"Always love seeing those friendly faces." "Wonderful work, friendly staff, would not dream of going anywhere else." 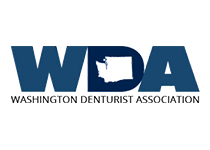 Denture Design Studio in College Place, Washington, is the place to go for denture services and preventive dental care in the Walla Walla Valley and surrounding areas. 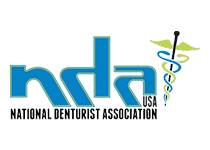 The talented Denture Design Studio team of Danny R. Croft, LD, PLLC, a licensed denturist with more than 30 years' experience, and Nancy Shelton, DDS, a licensed dentist specializing in general and preventive dentistry, is committed to giving you expert care promptly, often providing same-day service. Denture Design Studio brightens people’s smiles and improves their quality of life through the practice’s extensive dental offerings. 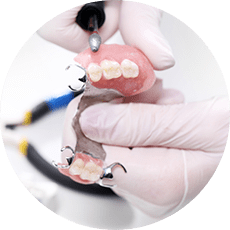 Denture services include full or partial custom denture design and construction as well as implant-retained dentures/partials, denture/partial relines, and repair. Denture Design Studio also offers same-day denture services for repair and relines. 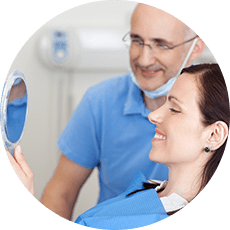 In addition to premium denture services, the Denture Design Studio team offers preventive dental care services including teeth cleanings, full exams with digital X-rays, fluoride treatments, sealants, and tooth extractions done by our dentist Dr. Shelton. 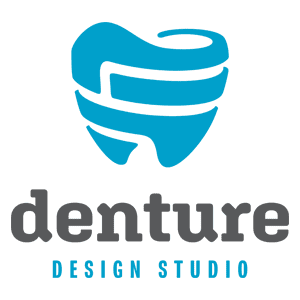 Denture Design Studio is accepting new patients, so schedule a free consultation by phone or online to regain confidence in your smile today. Get a brighter smile and improve your quality of life with our denture and dental services. At Denture Design Studio & Denture Center, We offer same-day denture repairs and relines. Get a FREE consultation with our licensed denturist for your all your custom denture needs. Get truly experience and personalized services catering to you so you can gain a renewed confidence. We're currently accepting new patients! Schedule your appointment today. 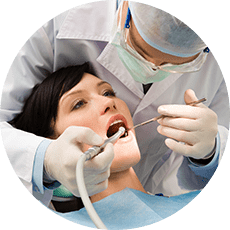 Get quality care from our licensed denturist, Danny R. Croft, LD, PLLC, who has over 30 years of experience. Consult with Nancy Shelton, DDS, our dentist, who has been serving Walla Walla, WA since 2007. We provide preventative care services. Contact us to learn more. "My family and I have been going to Denture Design Studio for about five years now and we appreciate the kind and professional service from everyone." "They took me step by step all the way through the process. Accepted my insurance. Highly recommend." "They made sure I was pain free. I would recommend them to anyone." "The whole staff have always given me and my husband wonderful treatment with personal attention, professional and friendly service."